My cousin recently asked me what ‘autoflowering cannabis seeds’ are and how are they different than ‘regular’ cannabis seeds. To be honest, I wasn’t exactly sure since I have always used the cloning method for my gardens in the past. I haven’t researched seeds all that much as a result, but figured this would be a good time to do so. Based on my research, autoflowering cannabis seeds are ones that automatically switch from the vegetative phase to the flowering phase as time goes by (usually two to four weeks). This is different from ‘regular’ cannabis seeds which require changing the amount of light the plant gets in a given day to trigger the change in phase (photoperiod). At the end of the day, the real question is ‘why are autoflowering cannabis seeds better than regular cannabis seeds?’ There seems to be many benefits according to what I’ve read. The obvious benefit is that the plant will change to flowering automatically, which can be a good thing for a newbie grower that doesn’t really know when to change their light cycle. People that have used autoflowering cannabis seeds have reported that their harvest comes sooner, which is significant. Something that was pointed out to me from a friend on Facebook who lives in a non-medical marijuana state was that the plants that come from autoflowering cannabis seeds are shorter in size, which is better for ninja gardens that need to be kept secret. This isn’t as big of a deal for a legal garden, but definitely has it’s benefits for some recreational gardens in many parts of the country. It seems to me like the biggest benefits would come from using autoflowering cannabis seeds in a sun grown garden setting (outdoor). So many sun grown harvests that I have seen over the years look like they were in the veg stage for too long and therefore didn’t get enough time in the flowering stage. The finished nugs are airy and ‘larfy’ as I always describe them. This is largely due to cold climates and short summers, which would be mitigated with plants that originate from autoflowering cannabis seeds. Many people have reported that they were able to do two harvests in the same summer using autoflowering cannabis seeds, which should sound good to any grower out there! Have you used autoflowering cannabis seeds? If so, would you recommend them to someone else? Is there anything that you would like to add that I didn’t find in my research? Please post your comments in the comments section so that others can benefit from your knowledge and experience! If you are looking to purchase some autoflowering cannabis seeds, make sure to check out Gorilla Seeds, they have an amazing selection! 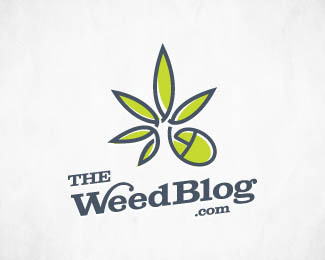 Robert Bergman is the founder of www.ilovegrowingmarijuana.com and offers a series of online growing tips and processes through his website and book.